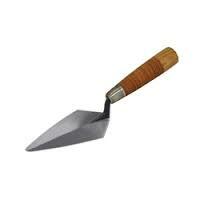 ACS is as much a historic research firm as an archaeological firm. This is in part based on the interdisciplinary nature of archaeology which draws upon theoretical concepts and methodological approaches from the physical sciences, the social sciences, as well as historic research, with the ultimate goal of reconstructing past lifeways. Modern archaeological theory has its roots in anthropology, which tends to target broad-scale cultural patterns rather than documenting human behavior through specific events, although there is no question that historic research has been a considerable resource to archaeologists employing multiple lines of evidence to reconstruct the past. Historic research provides a base of information from which to interpret the results of archaeological studies. ACS provided background research for a drainage improvement project in downtown New Haven, Connecticut. Using historic maps and literary sources, ACS created a master set of historic sensitivity maps that aided in the location of 200 bioswale features. 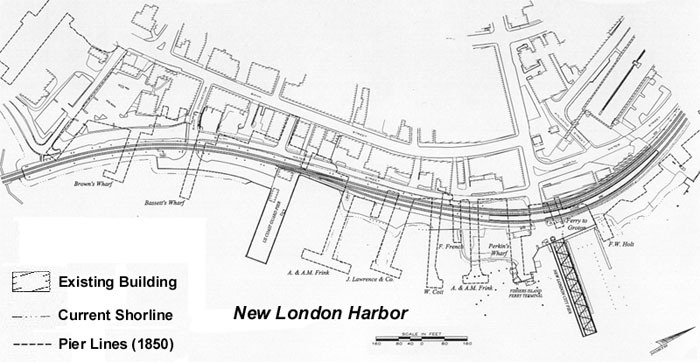 ACS evaluated the Bank Street section of the New London Waterfront for a revitalization project targeting the reconstruction of existing piers and the construction of a promenade along a stretch of bank which was the focal point for the development of New London as a critical maritime port in the history of New England. Employing GIS technology and historic research, ACS was able to demonstrate the historic changes to the waterfront and a lack of substantial impact to existing subsurface and underwater cultural resources by the proposed development. A detailed site inspection revealed a significant amount of late historic fill of undetermined extent beneath existing structures and paved surfaces lining the bank. ACS took the initiative to construct an archaeological assessment research design largely based on the application of geographic information systems (GIS) technology to historic maps and current development plans in order to more precisely project the potential impact of the proposed development on potential cultural resources. GIS is the digitization of geographic data into a software package that allows for a wide range of applications. "Rubber-sheeting" or the stretching and fitting of overlying images with common reference points is one important tool available in GIS when comparing current development plans with historic maps that were not typically made with the same degree of precision. Site survey map with extent of historic bank and associated wharves shown as dark dashed line. A GIS application was used to superimpose the historic bank from the 1850 map shown above, employing common reference points and a 'rubber- sheeting' technique. ACS also conducted terrestrial and underwater surface surveys of the project area. This part of the survey confirmed an extensive amount of fill mostly attributed to the realignment of railroad tracks in the 1980s. The partial remains of three historic piers were represented by vertical wooden support piles and an abundance of coal or other early 20th Century debris reflecting the late historic use of the waterfront after the mid 19th Century arrival of the nearby railroad tracks and train station. Historic research indicated a number of boom and bust cycles for the port in general, starting with small ship-building and West Indies trade efforts of the early 18th Century, the whaling era that peaked in the mid 19th Century, and the eventual decline of the waterfront after the railroad physically and economically cut off the bank from the commerce of downtown New London and other parts of the Northeast United States. For this project, maps dating back to the mid 19th Century were scanned and superimposed on development plans, the analysis of which revealed an extensive amount of fill added to the Thames River bank for more than 150 years. The GIS study indicated that the bulk of the proposed impact would occur seaward of the original extent of the majority of historic wharves and related structural sites, a contention supported by the results of previous archaeological studies revealing maritime structural remains well landward of the project area alignment. 1850 map of the Bank Street section historic New London waterfront. 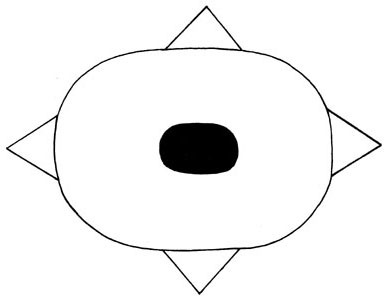 Example of a mnemonic glyph used to complement orally transmitted stories told by the Delware Indians of New Jersey, regarding the creation of the earth and all the elements of the landscape by the "Great Spirit". Rising sea levels and the effects of Hurricane Sandy prompted the City of New Haven to improve its drainage infrastructure by the installation of bioswale features. The 5-foot by 15-foot trenches contain selective plantings and tie in to the existing stormwater system. 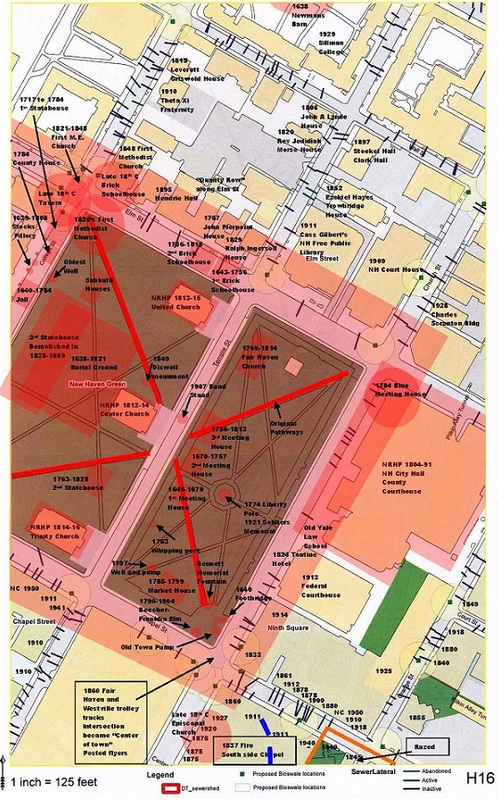 Because of their location adjacent to street curbs and the likely prior disturbance of most subsurface contexts, ACS was contracted to provide archaeological monitoring services. Monitoring services included an intensive background research effort to delineate areas of high sensitivity, in part as a way of identifying where to concentrate monitoring efforts, but also as a planning tool that allowed city engineers to adjust bioswale locations in order reduce impact to potentially significant cultural resources. Potential subsurface remains identified through historic maps and a review of site files at the Connecticut State Historic Preservation Office include those relating to initial occupation by settlers from Boston during the Contact period, burials from the 17th and 18th centuries on the Green, early Yale University building sites, skirmish sites from the Revolutionary War, and features associated with the failed Farmington Canal of the 1820s. While there were no Native American written languages in North America preceding the arrival of Europeans, journals of the earliest explorers provide a wealth of information regarding not only the historic sequence of events during the Contact period, but also the cultural customs of aboriginal populations such as settlement behavior, resource procurement, and social structure. With respect to subsequent historic periods, the written record proliferated to the point that historic research includes a host of sources such as land records, historic maps, probate records, genealogies, and local history texts. Even personal informants can be fruitful sources of historic information, particularly where older local inhabitants have first hand knowledge of historic sites and their former uses. ACS has also engaged in historic literary studies including those focussing on Native American folklore and a comparison of spiritual worldviews across cultures. The above list of projects include those which primarily employed historic research as a means of conserving cultural resources and/or evaluating past cultural systems. A cross-cultural study of Native American religious perspectives reveals that they are strongly linked to the cultural mapping of the landscape. Spirituality is not merely limited to humans or "higher powers", but is rather present in all living things and the earth itself. 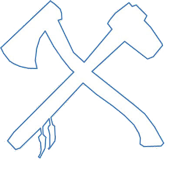 This link is commonly found in hunting and gathering contexts where cultural adaptations require an extensive knowledge and understanding of a great variety of natural resources. In cases where there is a more specialized reliance upon intensive food production (i.e. agriculture), and more particularly in cases of industrialization and the mechanized processing of resources which separates most individuals from the means of production, there is commonly a separation of spirituality and the physical dimensions of life. ACS takes pride in presenting itself as a multi-disciplinary entity. The power of interpreting cultural resources becomes greater when multiple lines of evidence are available. In the Northeast United States, for instance, there is a wealth of historic accounts of early 17th Century explorers regarding Native American life which has been used to help interpret prehistoric archaeological sites. By tapping into both ethnohistoric literature and the symbolic structures of folklore, more complete reconstructions of the past can be realized. ACS conducted an extensive study of Native American folklore for faculty members of Connecticut College who were preparing a treatise regarding multi-cultural religious perspectives. While this study did confirm the presence of common themes in Native American folklore which are found in some of the more global religions, it was equally clear that there were some important differences rooted in the variability of the broader cultural adaptations to which religious forms are integrally bound.